The railroad station is the oldest existing station in the state of New Jersey and is listed on the New Jersey and National Registry of Historic Places. 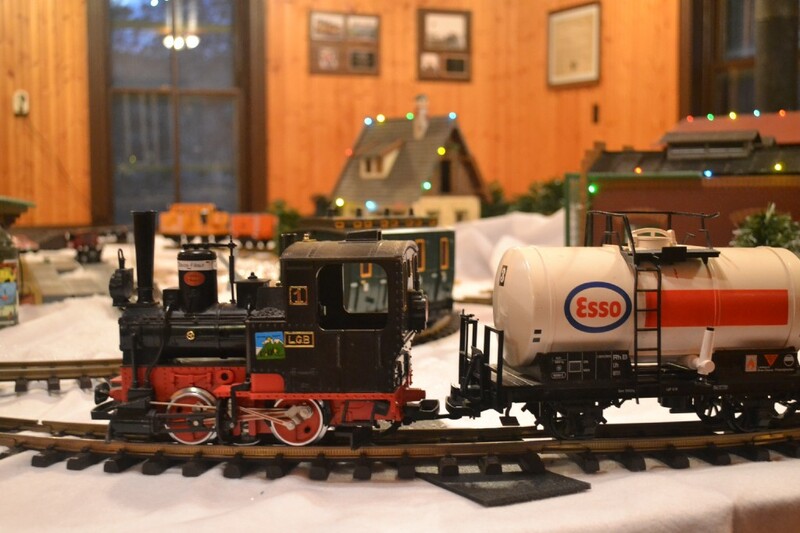 The model train set on display for the Historic Holiday Tour. The Berlin Railroad Station celebrated a milestone this year — the station turned 160 years old. The station, located at Washington and East Taunton avenues, is the oldest existing station in the state and is listed on the New Jersey and National Registry of Historic Places. Built in 1856, it was originally called the Long-A-Coming Station. In 1867, it was renamed the Magnolia Station, which still baffles residents to this day. Pomponio said the name only stayed for a few months and it was changed to Berlin. Just like with Magnolia, no one knows exactly why it was named Berlin. Some of the local families at the time served as station agents. The first station agent was Joseph L. Thackara, who eventually had a street named after him — Thackara Avenue. The station served both passengers and freight going to Philadelphia and Atlantic City. It was originally laid as a single rail line, but increased to two lines in the early 1900s due to heavier traffic. When cars became more affordable and more people were starting to drive, the station closed the second rail line and went back to a single line. The station closed in the 1960s due to declining passengers. There were talks of celebrities taking the rail line to Pine Valley Golf Course when the station was active. “I’ve been told that Bing Crosby and Bob Hope would come through, and young men at the time would carry their luggage for spare change,” she said. 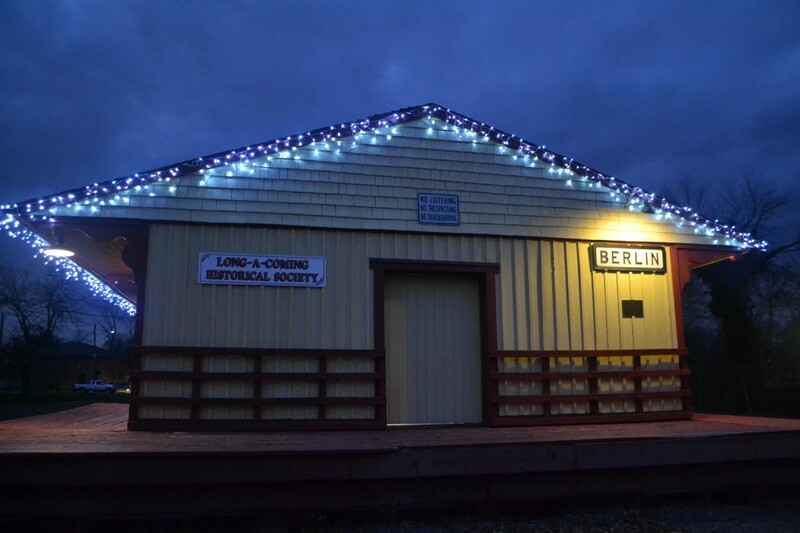 The Berlin Railroad Station decorated for the holidays. The railroad station was restored in 1994 thanks in part to The Long-A-Coming Historical Society. The group’s mission is to bring awareness and educate the town people on town history and to protect historic assets. Pomponio is the treasurer of the society, and her husband and father-in-law played a big part in restoring the station. Pomponio and Schmidt say there are quite a few people in Berlin Borough who don’t even know it exists. “We’ve been working real hard at having that happen, to get members for the historical society and let the town people know what’s there and how it started,” Schmidt said. The station is only open for special occasions, but Schmidt said they are planning to have more events and eventually working on having it open for people to come in on a regular basis. They recently put a lot of work into getting it ready for the Historic Holiday Tour taking place Saturday. The railroad station is one of the stops on the tour, and the society members set up a model train set inside. Schmidt said it’s bittersweet seeing how the station was years ago compared to now. She is happy the station is still standing and relieved about the much-needed restoration. She also makes a point to watch the freight train go down the train tracks as an adult, just like she watched the trains go by as a kid.